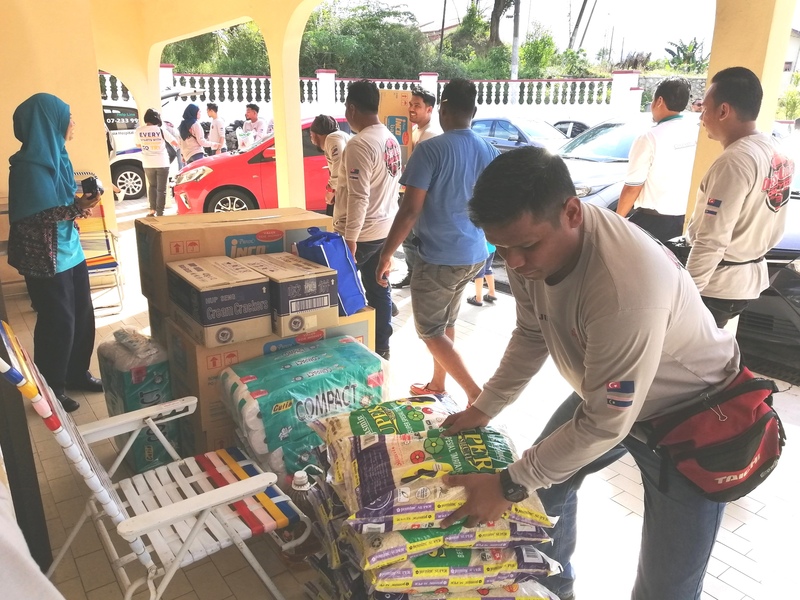 Staff of Columbia Asia Hospital – Iskandar Puteri along with their sister hospital in Setapak and Petaling Jaya have joined force to organise a charity ride to Pusat Jagaan Impiam Syimah, Johor Bahru during the festive season. This event is continuity success of the One Step Closer Charity Ride from Setapak to another sister hospital in Taiping as part of their Staff Engagement and Reach-Out-Programme. The hospitals wanted to do their part of giving back to the community and were happy to be a part of such an important event by undertaking and supporting those who are in need during the festive season. Staffs, doctors and their clients came together to raise funds for the home. A total of 100 packets of diapers, 20 packets of rice, milk powder and daily food items were donated to the home. 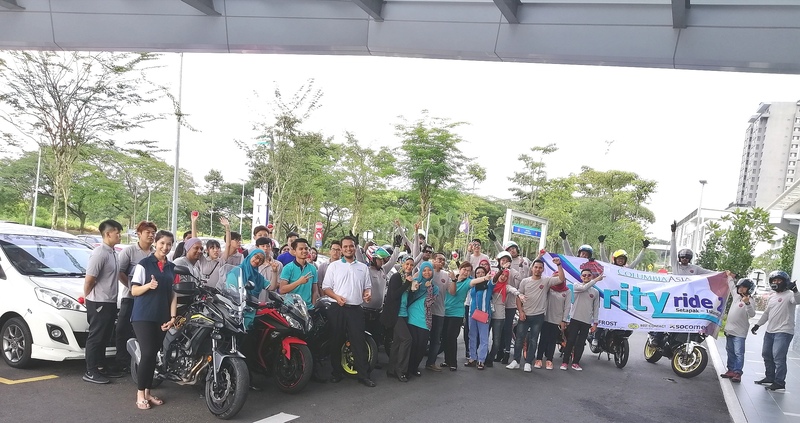 In Kuala Lumpur, Columbia Asia Hospital – Setapak and Petaling Jaya started their journey as early as 8.00am in a convoy of 18 superbikes and 6 cars to Columbia Asia Hospital – Iskandar (CHIP) Puteri in Johor for a ‘Meet and Greet’ Session. They were welcomed by the General Manager, Rahani Yaacob. The convoy team was then taken for a walk-through on CHIP’s medical facilities particularly the new Wing of the hospital where it was only opened recently. After the tour, they were invited for refreshments and a small token of appreciation in a heart shaped stress ball representing love and care were distributed to colleagues and clients who were presence on that day. The convoy grew a little bigger as there were another 7 cars joining in from Johor making a total of 18 Superbikes and 13 cars with over 40 volunteers helping out in the charity event. 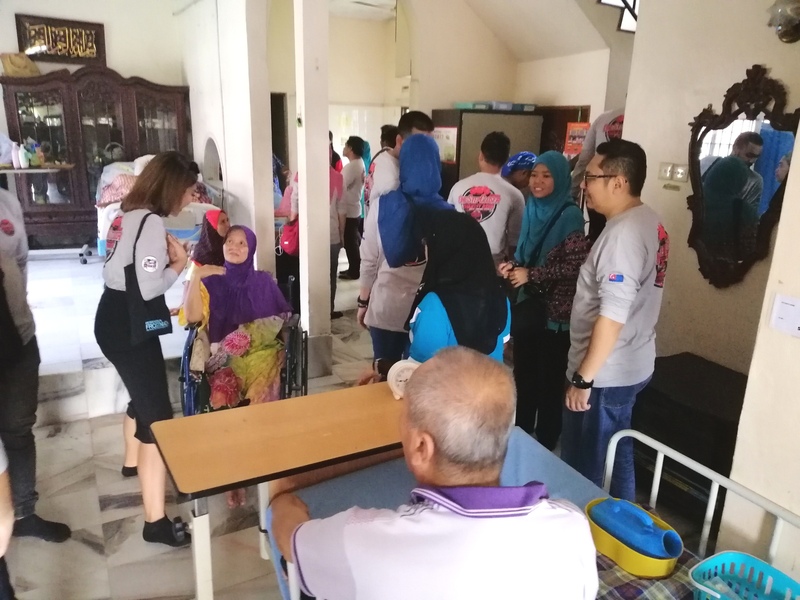 At the Pusat Jagaan Impiam Syimah home, they were received by the care taker, Syimah and her husband, Rosmi who were thrilled to be part of this meaningful event. They started the home since 12 years ago inspired by one of her patients she was taking care of. In total, she has 2 homes; one for males which has 9 persons staying and the other for females which has 14 persons. Both homes are located nearby. The residents are well taken care off by the 18 staffs working there.